A traffic citation is a traffic citation. You might assume that traffic violations are minor; you can represent yourself in traffic court and fight the ticket. So, why hire a traffic citation defense attorney for such a simple matter? Sometimes, traffic violations are the tip of the iceberg. Some carry harsh penalties, including jail time. In fact, reckless driving is one traffic offense that could result in hefty fines and time in jail. Do not discount traffic tickets as something for which you do not need an defense attorney to defend you. Instead, always consult with a traffic ticket lawyer to explore your options for a traffic violation. If you are still unsure if you need a speeding ticket defense attorney, some factors can help you better decide if hiring counsel is necessary. How fast over the speed limit were you going? When you drive excessively over the speed limit, your ticket is no longer a mere citation. Instead, you could be charged with careless or reckless driving. 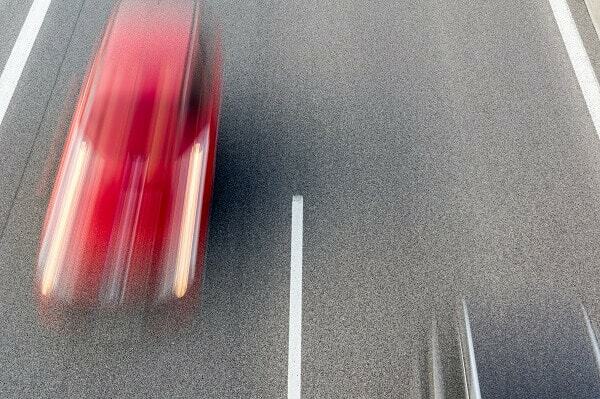 For a ticket with less than 10 miles per hour over, you probably do not need an attorney. However, if your ticket is for 10 mph or more over the posted limit, you should consult one. It will cost you less to hire an attorney to resolve these types of citations than losing and paying the citation (or jail sentence) yourself. Could the citation be negotiated? Even if your attorney cannot get the ticket dismissed, he or she could have the officer lower the citation to a less severe offense. Not only will that reduce the number of points on your license, but it could save you thousands in insurance premiums. Are you at risk for a license suspension? If your recent citation puts you at risk for a driver’s license suspension or revocation, it is imperative that you hire an attorney. An attorney can either have the citation dismissed or reduced to save your points so that you keep your driver’s license. How will the ticket affect your insurance? Think about the insurance premiums you will pay if you do not fight that speeding ticket. Insurance premiums can be costly, especially with the more citations and points on your record. Therefore, do the math and see how much you would pay per month in insurance if you accept the ticket. What serious charges are associated with the ticket? Sometimes, fighting a traffic citation can help reduce the evidence or fees for another criminal matter, such as careless or reckless driving. Lastly, if you are arrested for a DUI, you might still have a speeding ticket or other traffic citation. Ensure that the DUI attorney whom you hire has experience fighting these charges, as well. If you have a speeding ticket or you were arrested for a DUI, contact Attorney Christian A. Schwaner, P.C. in Colorado Springs. He can help you mount a strong defense against additional citations and criminal charges that can affect you for the rest of your life. Schedule a no-obligation consultation by calling him directly at 719-577-9700. You can also request your consultation or ask a question online.